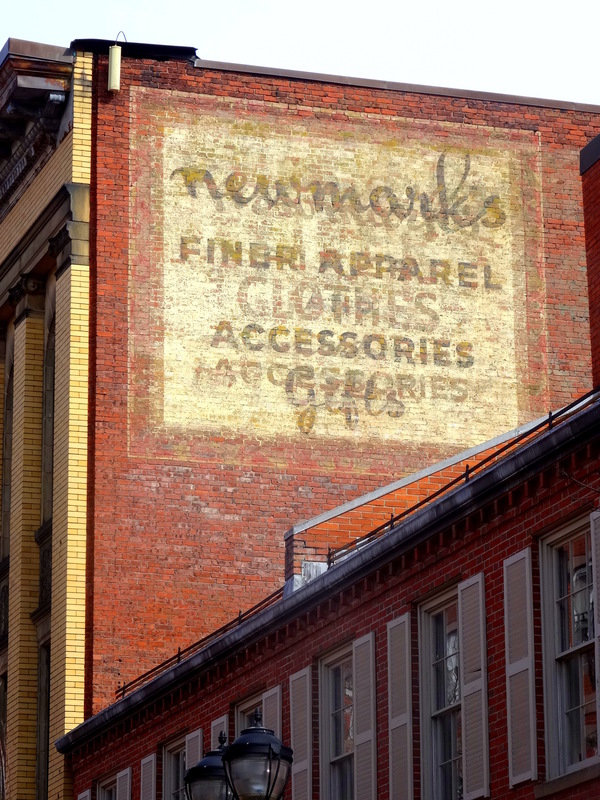 Salem doesn’t have many “ghost signs” of commerce past–I think sandblasting was part of its urban renewal experience–but it does have one of the most famous and most-photographed, marking the former Newmark’s Department Store on Essex Street. As you can see from my photographs from yesterday and the postcard from a century ago, this is actually the second sign (at least) on the side of this building. With the adjacent two-story building below, it’s an urban billboard. The F.W. Webb plumbing supplies building on Bridge Street, probably Salem’s most prominent “industrial” building, is a billboard on all four sides. 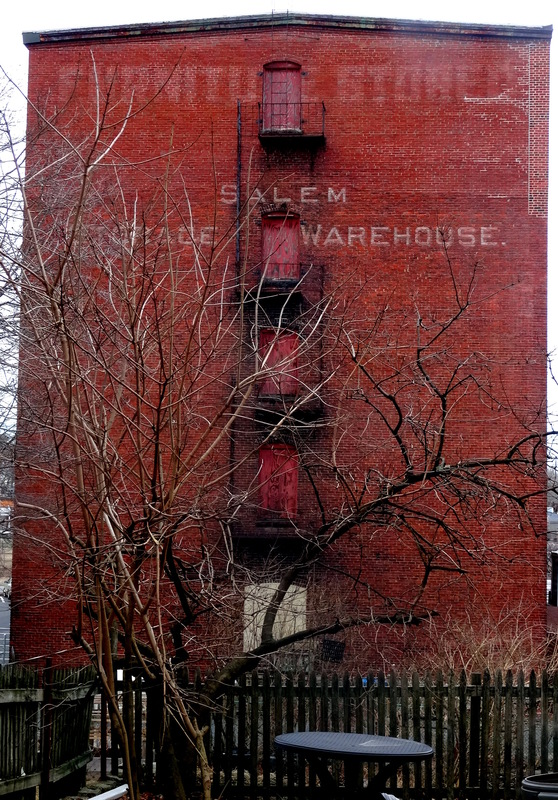 When you’re coming into Salem on 114 over the North Street bypass bridge, you can’t help but notice it on the right, mostly because of its retro lettering and its sharp contrast with the nearby Peirce-Nichols house. 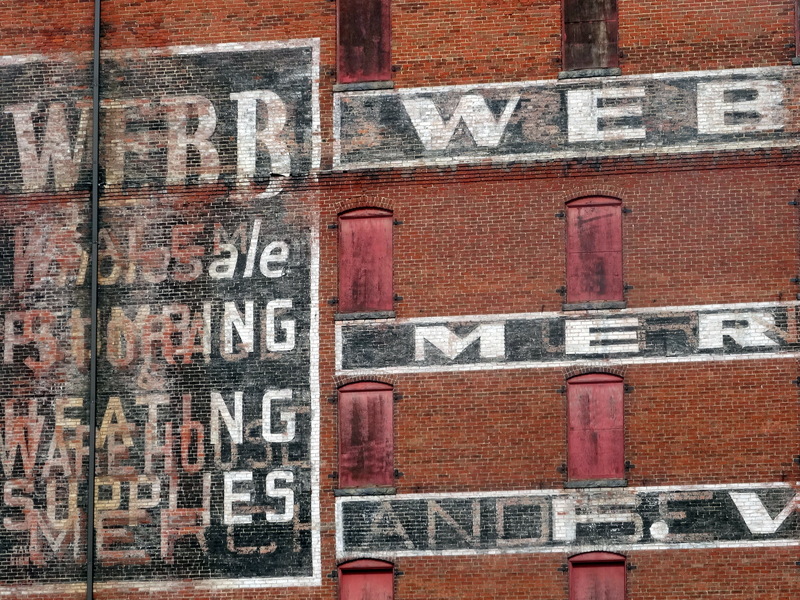 You can “read” the history of this building through its surviving signage: I particularly like its rear wall where only shadows remain. 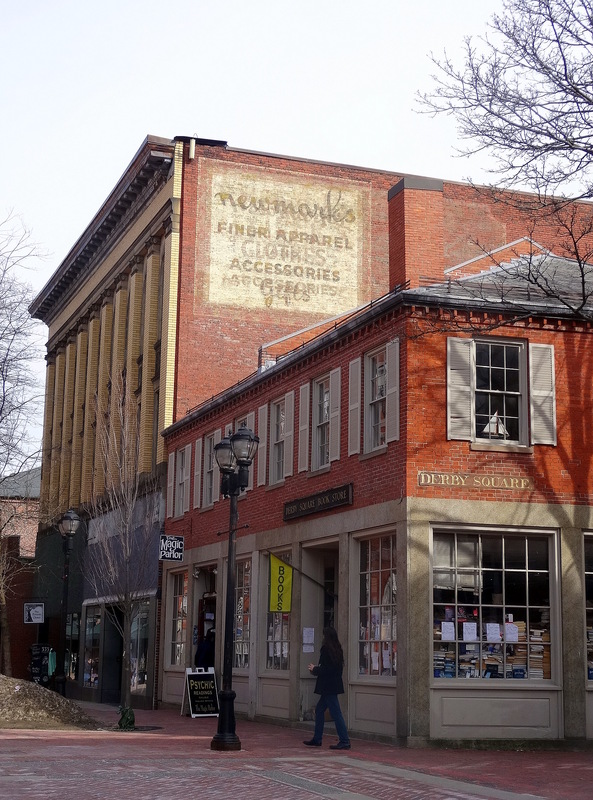 My last ghost sign is on Peabody Street in Salem, a street of brick multi-story residential buildings built just after the great fire of 1914. 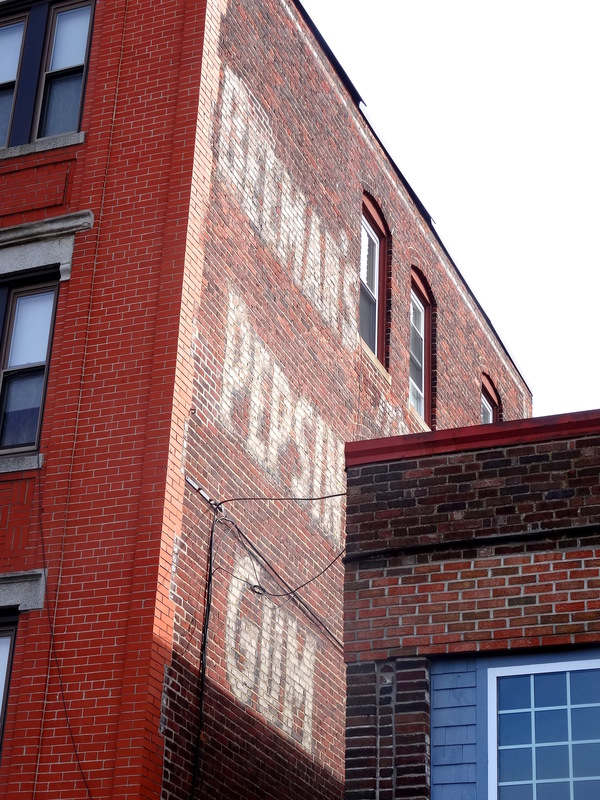 There’s very little room between them, so this is not a great streetscape for signage, but one has managed to survive: for Beeman’s Pepsin Gum, a nationally-sold product marketed primarily as an aid to digestion. Few people probably notice this sign today, but for decades it was right on one of the major pedestrian paths to Salem’s largest employer, Pequot Mills. 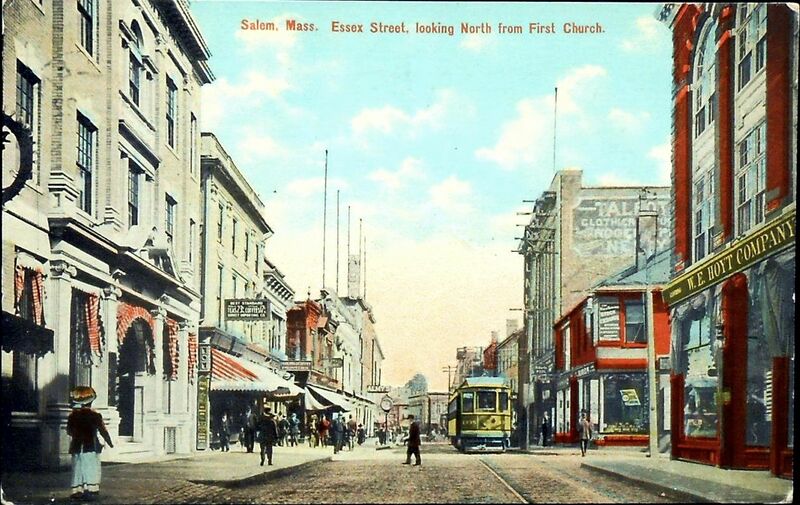 This entry was posted on Monday, March 24th, 2014 at 6:29 am	and tagged with advertising, Architecture, ephemera, urban planning and posted in Culture, History, Salem. You can follow any responses to this entry through the RSS 2.0 feed.